Check out this impressive 2006 Volkswagen New Beetle Coupe 2.5L. Variable intermittent windshield wipers w/heated washer nozzles, Traction control-inc: (ASR) anti-slip regulation, (EDL) electronic differential lock, Tinted green glass, Sunglass holder, Soft-opening illuminated lockable glove box w/interior shelf. This Volkswagen New Beetle Coupe Comes Equipped with These Options Seat belt reminder & fuel cap seal warning, Roof-mounted whip antenna, Remote keyless entry, Remote fuel filler & trunk release, Remote central pwr locking system-inc: automatic pwr door locks, selective unlocking from front doors, Rearview mirror-inc: integrated clock/ambient temp display, Rear window defroster, Rear seat lower anchors & top tethers for children (LATCH), Rear seat heat & air conditioning ducts, Pwr windows-inc: front windows w/driver-side 1-touch up/down feature, pinch protection, key-operated open & close feature. Stop By Today For a must-own Volkswagen New Beetle Coupe come see us at Sherwood Park Volkswagen, 2365 BROADMOOR BLVD, SHERWOOD PARK, AB T8H 1N1. Just minutes away! This Volkswagen Tiguan boasts a Turbocharged Gas I4 2.0L/121 engine powering this Automatic transmission. Tire pressure monitoring system, Rear window defogger, Pwr windows. This Volkswagen Tiguan Features the Following Options Pwr steering, Pwr front vented, rear solid disc brakes, Pwr door locks, Keyless entry, Independent McPherson strut front suspension, Independent 4-link rear suspension, Heated pwr mirrors, Head curtain airbags, Front side thorax airbags, Front airbags. Stop By Today Test drive this must-see, must-drive, must-own beauty today at Sherwood Park Volkswagen, 2365 BROADMOOR BLVD, SHERWOOD PARK, AB T8H 1N1. IIHS Top Safety Pick. This Volkswagen Passat boasts a Premium Unleaded V-6 3.6 L/220 engine powering this Automatic transmission. Window Grid Diversity Antenna, Wheels: 18 Chattanooga Alloy, Wheels w/Silver Accents. This Volkswagen Passat Features the Following Options Vienna Leather Seat Trim, Valet Function, Trunk Rear Cargo Access, Trip Computer, Transmission: 6-Speed DSG Automatic w/Tiptronic -inc: sport mode, Transmission w/Oil Cooler, Tires: P235/45R18 H AS, Tailgate/Rear Door Lock Included w/Power Door Locks, Strut Front Suspension w/Coil Springs, Streaming Audio. The Votes are Counted IIHS Top Safety Pick, KBB.com 10 Most Comfortable Cars Under $30,000. 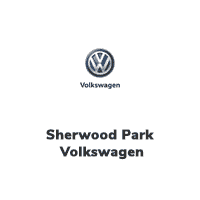 Visit Us Today A short visit to Sherwood Park Volkswagen located at 2365 BROADMOOR BLVD, SHERWOOD PARK, AB T8H 1N1 can get you a trustworthy Passat today! This Volkswagen Golf R boasts a Intercooled Turbo Premium Unleaded I-4 2.0 L/121 engine powering this Manual transmission. TITAN BLACK, VIENNA LEATHER SEATING SURFACES, ORYX WHITE PEARL, DRIVER ASSISTANCE PACKAGE -inc: Adaptive Cruise Control, Blind Spot Detection w/Rear Traffic Alert, Light Assist, high beam control, Park Distance Control (PDC), Front Assist w/Autonomous Emergency Braking, pedestrian monitoring, Lane Assist. This Volkswagen Golf R Features the Following Options Wheels w/Silver Accents, Valet Function, Trip Computer, Transmission: 6-Speed Manual, Tires: P235/35R19 Summer Performance, Tailgate/Rear Door Lock Included w/Power Door Locks, Systems Monitor, Strut Front Suspension w/Coil Springs, Sport Leather/Piano Black Steering Wheel, Speed Sensitive Rain Detecting Variable Intermittent Wipers w/Heated Jets. Stop By Today For a must-own Volkswagen Golf R come see us at Sherwood Park Volkswagen, 2365 BROADMOOR BLVD, SHERWOOD PARK, AB T8H 1N1. Just minutes away! We're excited to offer this impressive 2002 Volkswagen Golf GL. Tinted glass, Third centre sunvisor, Roof-mounted flexible black whip antenna, Remote keyless entry, Remote fuel door/trunk releases. This Volkswagen Golf Comes Equipped with These Options Rear window wiper/washer system w/intermittent wipe feature, Rear window defroster, Rear heating/air conditioning ducts, Pwr rack & pinion steering, Pwr 4-wheel disc brakes (front vented), Programmable intermittent windshield wipers, Premium AM/FM stereo w/cassette-inc: anti-theft coding, CD changer control, (8) speakers, P195/65HR15 all-season tires, Open door warning/courtesy lights, Interior dome light w/time delay. Stop By Today Test drive this must-see, must-drive, must-own beauty today at Sherwood Park Volkswagen, 2365 BROADMOOR BLVD, SHERWOOD PARK, AB T8H 1N1. This Volkswagen Jetta Sedan delivers a Intercooled Turbo Diesel I-4 2.0 L/120 engine powering this Manual transmission. Window Grid Diversity Antenna, Wheels: 6J x 15 Steel w/Full Wheel Cover, Variable Intermittent Wipers w/Heated Jets. This Volkswagen Jetta Sedan Features the Following Options Urethane Gear Shift Knob, Trunk Rear Cargo Access, Trip Computer, Transmission: 6-Speed Manual, Tires: 195/65 R15H AS, Strut Front Suspension w/Coil Springs, Steel Spare Wheel, Sliding Front Centre Armrest and Rear Centre Armrest w/Pass-Thru, Single Stainless Steel Exhaust, Sienna Cloth Seat Trim. The Experts' Verdict... As reported by The Manufacturer Summary: The 2014 Volkswagen Jetta is a gorgeously sculpted sedan with daring angles and sumptuous curves. It has a high-end look with sleek aerodynamic lines, and comes in 6 models for buyers to choose from. The base Jetta S is equipped with a 2.0-Liter, 115 Horsepower, 4-cylinder engine with your choice of a 5-speed manual or 6-speed automatic. One level higher is the SE, which has the same transmission choices as the S, but with a 170 Horsepower Turbocharged engine instead. The SEL is the next trim higher, with the same engine as the SE, but with an automatic transmission. The TDI Clean Diesel with its 140 Horsepower engine gets an incredible EPA estimated 42 MPG on the highway. For more of a rush, the GLI is ready to take off with its turbocharged 210 Horsepower engine, sport suspension, sport steering wheel, and front sport comfort seats. For maximum fuel efficiency and an exciting drive, the Jetta Hybrid is available. It has a 170 Horsepower turbocharged engine, a 7-speed DSG automatic transmission with Tiptronic, and gets an EPA estimated 48 MPG on the highway. The interior of the Jetta is sophisticated, roomy, and stylish. It comes standard with a multi-function trip computer, an auxiliary input for your radio, and power windows. Higher trims have available features like Bluetooth audio streaming, a power sunroof, push-button start, touchscreen navigation, Fender Premium Audio, a Rearview camera, and heated front seats. For your gear, the Jetta has 15.5 cubic feet of cargo space, and 60/40 split folding rear seats. New for 2014, the Volkswagen Car-Net communication system is available on most trims. It gives you services like roadside assistance, and crash notification. Safety features include anti-lock brakes, stability control, and the Intelligent Crash Response System. In a collision it deploys the airbags, disables the fuel pump, turns on your hazard lights, and unlocks the doors. Come drive the 2014 Volkswagen Jetta today! Stop By Today Come in for a quick visit at Sherwood Park Volkswagen, 2365 BROADMOOR BLVD, SHERWOOD PARK, AB T8H 1N1 to claim your Volkswagen Jetta Sedan! KBB.com Total Cost of Ownership Awards. This Kia Rio boasts a Gas I4 1.6L/97 engine powering it's sleek transmission. Vehicle stability management (VSM), Variable intermittent front windshield wipers, Trip Computer. This Kia Rio Features the Following Options Torsion beam rear suspension -inc: coil springs, monotube shock absorbers, Tire mobility kit, Tilt steering column, Steering wheel audio controls, Signature black lattice grille, Side-impact front airbags, Satellite radio, Roof antenna, Rear windshield wiper w/washer, Rear window defroster. The Experts' Verdict... As reported by KBB.com: The 2012 Kia Rio is an inexpensive sub-compact that delivers a great value and superb fuel economy backed by an outstanding warranty. Visit Us Today A short visit to Sherwood Park Volkswagen located at 2365 BROADMOOR BLVD, SHERWOOD PARK, AB T8H 1N1 can get you a reliable Rio today! This Jeep Liberty boasts a Gas V6 3.7L/225 engine powering this Automatic transmission. STANDARD PAINT (STD), PWR SUNROOF, NORTH EDITION GROUP -inc: 115V aux pwr outlet, (6) speakers, cargo compartment cover, deep-tint sunscreen glass, fog lamps, front passenger fold-flat seat, P225/75R16 all season OWL tires, side roof rails, speed control, temp & compass gauge. This Jeep Liberty Comes Equipped with These Options 28B SPORT CUSTOMER PREFERRED ORDER SELECTION PKG -inc: 3.7L V6 engine, 4-speed auto trans , LUXURY FRONT & REAR FLOOR MATS, FRONT CLOTH LOW-BACK BUCKET SEATS (STD), 4-SPEED AUTOMATIC VLP TRANSMISSION, 3.7L V6 ENGINE (STD), Variable intermittent windshield wipers, Tire pressure monitoring lamp, Speed sensing pwr locks, Sentry Key theft deterrent system, Removable short mast antenna. The Experts' Verdict... As reported by KBB.com: You'll like the Jeep Liberty if you want a mid-size SUV with rugged good looks, room for five and go-anywhere off-road capabilities. Plus, the Sky Slider Roof lets you have open air fun without the added noise and security concerns of owning a soft-top Jeep Wrangler. Visit Us Today Test drive this must-see, must-drive, must-own beauty today at Sherwood Park Volkswagen, 2365 BROADMOOR BLVD, SHERWOOD PARK, AB T8H 1N1. This Honda CR-V delivers a Gas I4 2.4L/144 engine powering this Automatic transmission. Vehicle stability assist (VSA), Variable pwr rack & pinion steering, Trailer hitch pre-wire. This Honda CR-V Features the Following Options Sunglass storage, Side step bars, Side impact door beams, Roof Rack, Removable folding picnic table, Remote keyless entry w/hatch release, Remote fuel filler door release, Rear window defroster w/timer, Rear splash guards, Rear seat heater ducts. Stop By Today You've earned this- stop by Sherwood Park Volkswagen located at 2365 BROADMOOR BLVD, SHERWOOD PARK, AB T8H 1N1 to make this car yours today! We're excited to offer this reliable 2013 Nissan Sentra . Zone body construction w/front/rear crumple zones, Visor vanity mirrors w/extensions, Vehicle security system, Vehicle dynamic control w/traction control system, Variable intermittent windshield wipers. This Nissan Sentra Features the Following Options Trip computer -inc: average MPG, current MPG, distance to empty, average speed, Torsion beam rear suspension, Speed-sensitive electric pwr steering, Silver interior trim, Roof-mounted side-impact supplemental curtain airbags, Rear seat centre console w/cupholders, Rear child safety door locks, Rear 60/40 split fold-down bench seat, Pwr windows w/driver one-touch auto up/down feature, Pwr door locks w/auto-locking feature. Stop By Today For a must-own Nissan Sentra come see us at Sherwood Park Volkswagen, 2365 BROADMOOR BLVD, SHERWOOD PARK, AB T8H 1N1. Just minutes away! IIHS Top Safety Pick. This Subaru WRX boasts a Intercooled Turbo Premium Unleaded H-4 2.0 L/122 engine powering this Manual transmission. Wheels: 18 x 8.5 Cast Aluminum Alloy -inc: gunmetal coating, Variable Intermittent Wipers w/Heated Wiper Park, Valet Function. This Subaru WRX Comes Equipped with These Options Trunk Rear Cargo Access, Trip Computer, Transmission: 6-Speed Manual w/Hill Holder System -inc: Fully synchronized, including reverse and viscous-coupling limited-slip centre differential, Tires: P245/40R18 97W Dunlop Summer Performance -inc: Sport Maxx RT, Systems Monitor, Strut Front Suspension w/Coil Springs, Streaming Audio, Steel Spare Wheel, Sport Tuned Suspension, Sport Leather/Metal-Look Steering Wheel. The Votes are Counted IIHS Top Safety Pick, KBB.com Best Resale Value Awards, KBB.com 5-Year Cost to Own Awards, KBB.com Brand Image Awards, KBB.com 10 Most Awarded Brands. Visit Us Today A short visit to Sherwood Park Volkswagen located at 2365 BROADMOOR BLVD, SHERWOOD PARK, AB T8H 1N1 can get you a reliable WRX today! KBB.com 10 Best Sedans Under $25,000. This Mazda Mazda3 boasts a Regular Unleaded I-4 2.0 L/122 engine powering it's polished transmission. Wheels: 16 Alloy, Valet Function, Trip Computer. This Mazda Mazda3 Comes Equipped with These Options Tires: P205/60R16 AS, Tailgate/Rear Door Lock Included w/Power Door Locks, Strut Front Suspension w/Coil Springs, Steel Spare Wheel, Side Impact Beams, Seats w/Cloth Back Material, Rigid Cargo Cover, Remote Releases -Inc: Mechanical Fuel, Remote Keyless Entry w/Integrated Key Transmitter, Illuminated Entry, Illuminated Ignition Switch and Panic Button, Rear Cupholder. Visit Us Today You've earned this- stop by Sherwood Park Volkswagen located at 2365 BROADMOOR BLVD, SHERWOOD PARK, AB T8H 1N1 to make this car yours today! KBB.com Brand Image Awards. This Ford Escape delivers a Intercooled Turbo Regular Unleaded I-4 1.6 L/98 engine powering this Automatic transmission. Wheels: 17 Alloy Sparkle Silver Painted, w/Tilt Front Head Restraints and Adjustable Rear Head Restraints, Variable Intermittent Wipers w/Heated Wiper Park. This Ford Escape Features the Following Options Trip Computer, Transmission w/SelectShift Sequential Shift Control and Oil Cooler, Tires: P235/55R17 A/S -inc: mini space-saver spare tire, Tailgate/Rear Door Lock Included w/Power Door Locks, Systems Monitor, Strut Front Suspension w/Coil Springs, Steel Spare Wheel, Smart Device Integration, Side Impact Beams, Short And Long Arm Rear Suspension w/Coil Springs. Stop By Today Come in for a quick visit at Sherwood Park Volkswagen, 2365 BROADMOOR BLVD, SHERWOOD PARK, AB T8H 1N1 to claim your Ford Escape! KBB.com 10 Best SUVs Under $25,000. This Kia Sorento delivers a Regular Unleaded V-6 3.3 L/204 engine powering this Automatic transmission. Wheels: 18 Alloy, Variable Intermittent Wipers w/Heated Wiper Park, Valet Function. This Kia Sorento Comes Equipped with These Options Trip Computer, Transmission: 6-Speed Automatic, Transmission w/Driver Selectable Mode and Sportmatic Sequential Shift Control, Tires: P235/60R18, Tailgate/Rear Door Lock Included w/Power Door Locks, Strut Front Suspension w/Coil Springs, Streaming Audio, Steel Spare Wheel, Splash Guards, Single Stainless Steel Exhaust. See What the Experts Say! As reported by KBB.com: If you're looking for a 7-passenger crossover SUV big on comfort, safety, style and in-cabin technology, the 2015 Kia Sorento ranks among the best in class. Stop By Today Stop by Sherwood Park Volkswagen located at 2365 BROADMOOR BLVD, SHERWOOD PARK, AB T8H 1N1 for a quick visit and a great vehicle! This GMC Yukon boasts a Gas/Ethanol V8 5.3L/327 engine powering this Automatic transmission. ENGINE, VORTEC 5.3L V8 WITH ACTIVE FUEL MANAGEMENT, FLEXFUEL, SFI (STD), XM satellite radio -inc: digital quality sound w/coast-to-coast signal coverage *Includes (3) free trial months beyond which service fees apply*, Windshield wipers, intermittent, front, wet-arm, flat-blade with pulse washers. This GMC Yukon Comes Equipped with These Options Windows, power -inc: driver express-down, lockout, Wheels, 17 x 7.5 aluminum, sport, Vehicle theft deterrent, electronic immobilizer, Universal home remote -inc: programmable garage door opener, Ultrasoft leather appointed seat trim, Transmission, 6-speed automatic, electronically controlled with overdrive, Transfer case, single speed (4Hi), electronic Autotrac -inc: rotary control knob, Trailering equipment, heavy-duty -inc: hitch platform, 7-wire harness w/independent fused trailering circuits mated to a 7-way sealed connector, 2 trailering receiver, (4) blunt cut wires in instrument panel harness to accommodate aftermarket trailer brake controller, Tow/haul mode selector, Tools, mechanical jack and wheel wrench. Visit Us Today Test drive this must-see, must-drive, must-own beauty today at Sherwood Park Volkswagen, 2365 BROADMOOR BLVD, SHERWOOD PARK, AB T8H 1N1. This Toyota RAV4 boasts a Gas I4 2.4L/122 engine powering this Automatic transmission. Warnings-inc: low fuel/washer fluid, door ajar, driver & front passenger seat belts, Vehicle stability control (VSC), Variable-intermittent windshield wipers w/wiper de-icer. This Toyota RAV4 Features the Following Options Upper & lower glove boxes, Transmission oil cooler, Traction control (TRAC), Tinted privacy glass w/UV protection, Tilt/telescopic steering wheel, Stainless steel exhaust system, Side Impact Beams, Roof Rack, Remote keyless entry, Rear window defroster w/timer. Visit Us Today Stop by Sherwood Park Volkswagen located at 2365 BROADMOOR BLVD, SHERWOOD PARK, AB T8H 1N1 for a quick visit and a great vehicle! We're excited to offer this reliable 2010 Hyundai Accent . Tinted glass, Tilt steering wheel, Shift interlock system, Remote fuel door & trunk releases, Reclining front bucket seats -inc: driver multi-adjustable seat w/adjustable head restraints. This Hyundai Accent Comes Equipped with These Options Rear window defroster, Rear torsion beam axle, Rear seat heater ducts, Rear centre armrest w/cupholder, Pwr rack & pinion steering, Pwr front disc/rear drum brakes, Passenger occupancy sensor, P175/70R14 all-season tires, Micro roof antenna, MacPherson strut front suspension. Visit Us Today For a must-own Hyundai Accent come see us at Sherwood Park Volkswagen, 2365 BROADMOOR BLVD, SHERWOOD PARK, AB T8H 1N1. Just minutes away! This Cadillac SRX boasts a Gas/Ethanol V6 3.6L/217 engine powering this Automatic transmission. Windshield wipers & washers -inc: front variable intermittent, rear intermittent, rear activated in reverse when front wipers on, Windows, pwr -inc: front express up/down w/pinch guard & child lockout, rear express down, Wheels, 20 X 8 (508mm x 203mm) bright machined aluminum with blade silver. This Cadillac SRX Comes Equipped with These Options Ventilated front passenger seat, Ventilated driver seat, Universal home remote, programmable, Trailer sway control, Traction control, Tires, P235/55R-20, all season, H-rated, blackwall, Tire pressure monitoring system -inc: individual tire pressure read out, Tire inflator kit, Theft deterrent with LED indicator -inc: PASS-Key III+ electronic immobilizer, Sunshades, driver & front passenger -inc: extendable illuminated dimmable vanity mirrors, ticket flap. The Experts' Verdict... As reported by KBB.com: If you want an upscale 5-passenger SUV with a powerful engine, sleek styling, high-tech features, and a manageable size, the 2014 Cadillac SRX deserves a look. Visit Us Today Stop by Sherwood Park Volkswagen located at 2365 BROADMOOR BLVD, SHERWOOD PARK, AB T8H 1N1 for a quick visit and a great vehicle! KBB.com Brand Image Awards. This Chevrolet Tahoe delivers a Gas/Ethanol V8 5.3L/327 engine powering this Automatic transmission. ENGINE, VORTEC 5.3L V8 WITH ACTIVE FUEL MANAGEMENT -inc: sequential port fuel injection SFI, E85 flexfuel capable (STD), Windshield wipers and washers -inc: front intermittent wet-arm flat-blade wipers w/pulse washers, rear intermittent wiper w/washer, Windows, power with driver express-down and passenger lockout features. This Chevrolet Tahoe Comes Equipped with These Options Wheels, 17 x 7.5 aluminum, 5-spoke -inc: smooth surface & rectangular pockets, full size spare wheel, USB/iPod/MP3 input jack and audio connectivity, Universal home remote -inc: programmable garage door opener in overhead console, Transfer case, single speed (4Hi) -inc: electronic autotrac w/rotary control knob, Tow/haul, trailering equipment, heavy-duty -inc: hitch platform, 7-wire harness w/independent fused trailering circuits mated to a 7-way sealed connector, 2 trailering receiver, (4) blunt cut wires in instrument panel harness to accommodate aftermarket trailer brake controller, Tow/haul, air cleaner, high capacity, Tow haul mode selector *Button on shift lever*, Tires, P265/70R-17 all-season, blackwall, Tire pressure monitoring system *Does not apply to spare tire*, Theft deterrent, electronic immobilizer. See What the Experts Say! As reported by KBB.com: If you absolutely need something that does what the Tahoe does so well, and you don't mind driving around in and parking a big, heavy truck-type SUV, it's a great choice. Stop By Today Come in for a quick visit at Sherwood Park Volkswagen, 2365 BROADMOOR BLVD, SHERWOOD PARK, AB T8H 1N1 to claim your Chevrolet Tahoe!